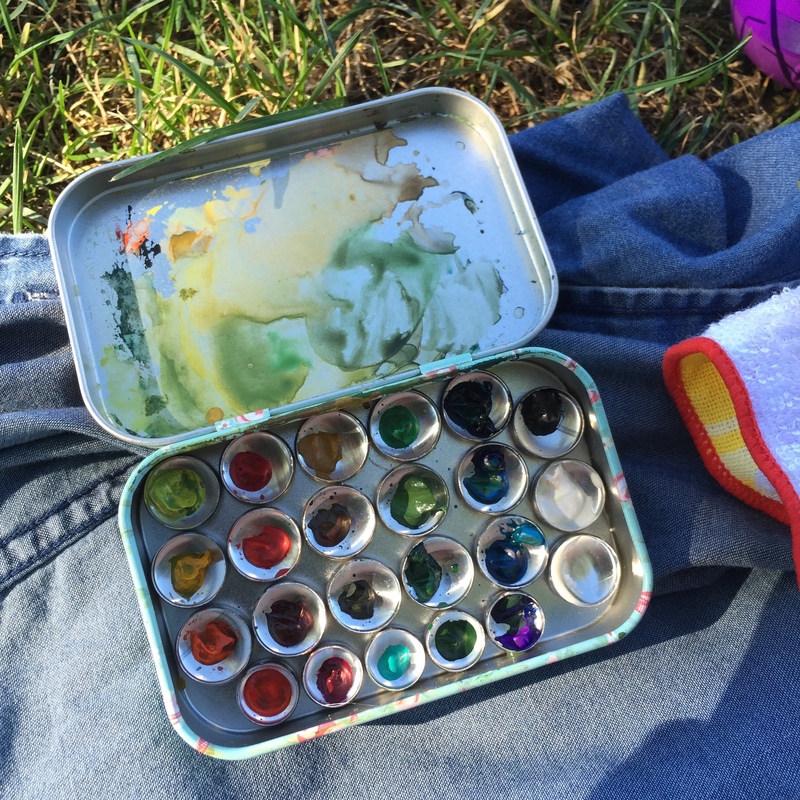 It is super easy to make your own portable water-colour palette. The components and materials are relatively cheap as well! You can customise the type of paint you want to use! 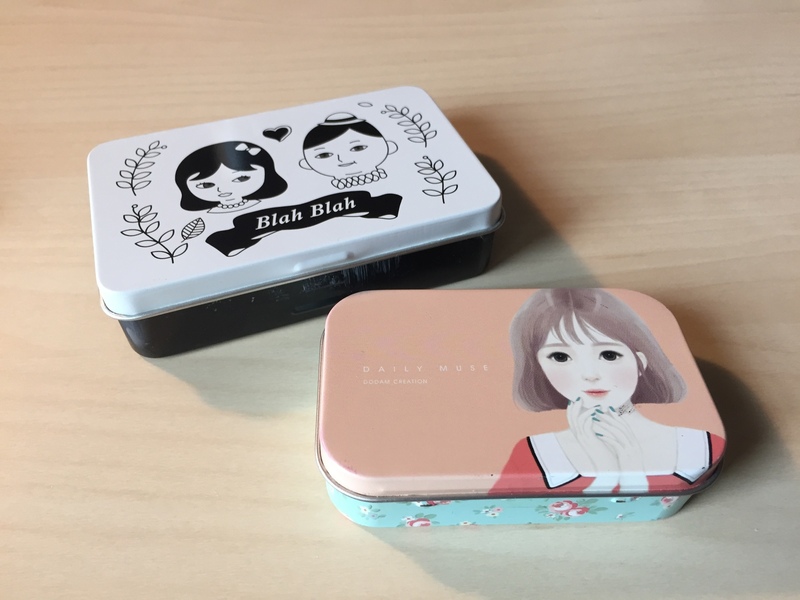 I use this cute tin I found in Jin Xing Fa (a stationery wholesale shop in Taiwan). It is very light and pretty. 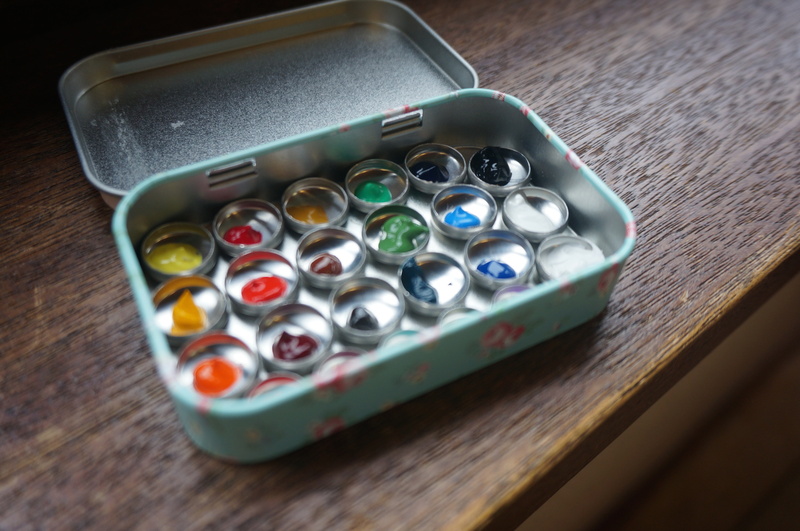 I used to use this to store washi tape stickers, but it is also the perfect size for a portable water-colour palette! 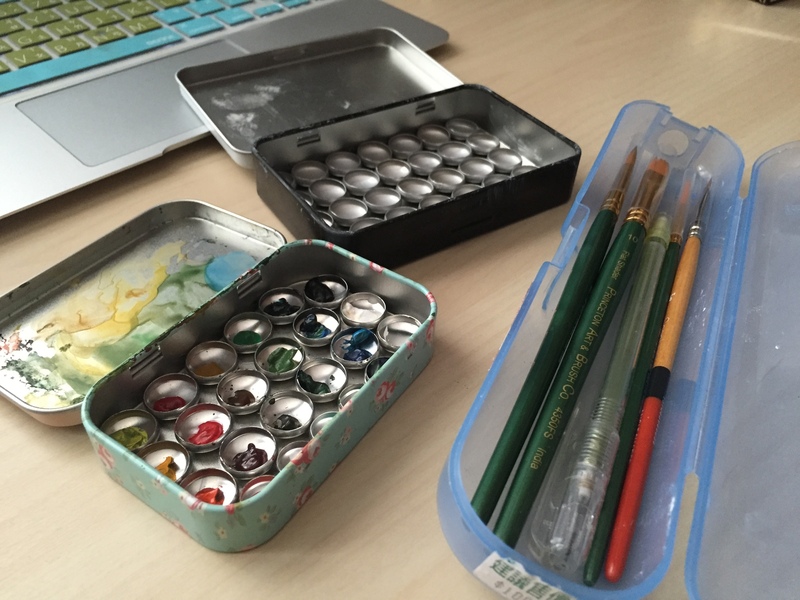 You can always customise your own tin palette by decorating it with washi tape! 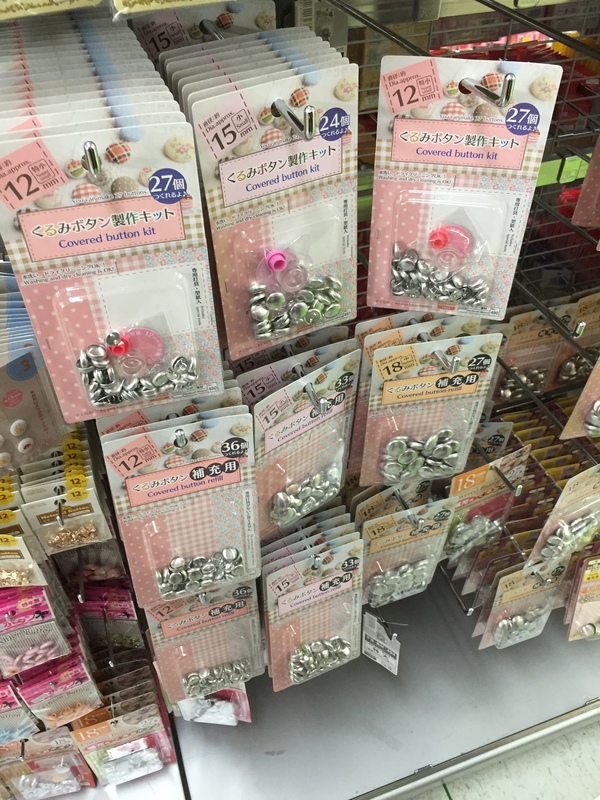 You can find these cloth covered buttons at Daiso or other fabric supply shops. You can separate the exterior pan with the eye of the buttons. Most of these are durable with water and less likely to rust! 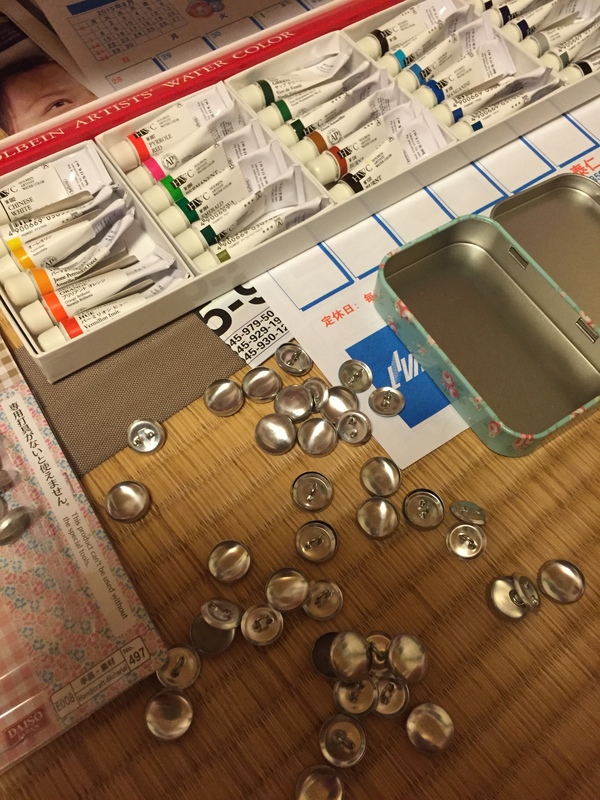 用強力膠將他們固定在鐵盤裡！Glue them onto the tin palette with super glue! 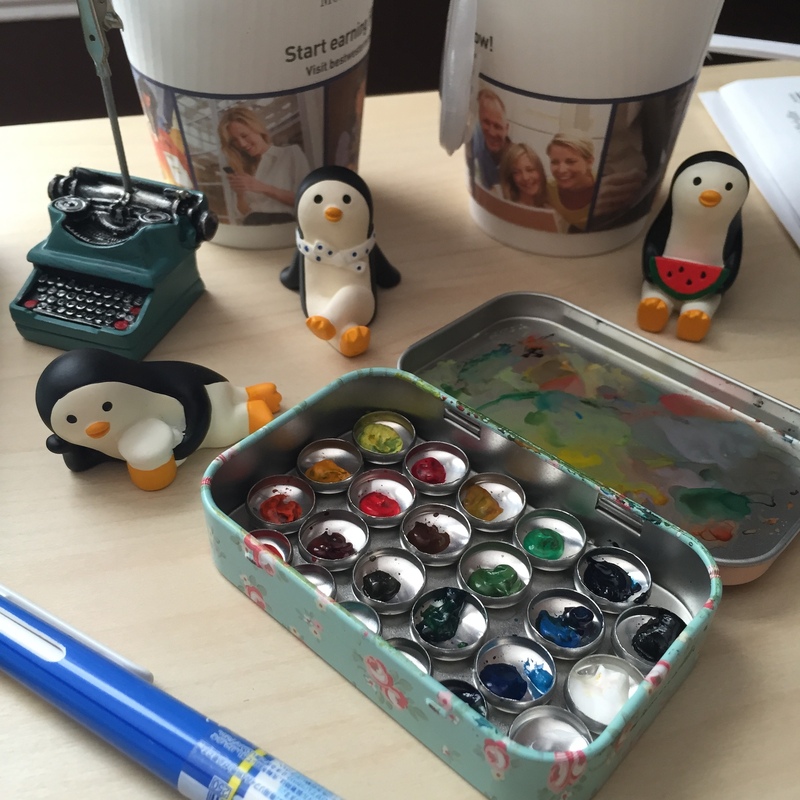 The fun part is to fill it up with your favourite water-colour paints! I used Holbein’s professional water-colour. You can also choose whatever brand you are the most comfortable working with. It is recommended to use transparent water-colour because it dries fast and is water soluble. It is also going to stay inside the palette more firmly than if you use Gouche paints. Gouche paints dry really fast and is going to fall out of the tin pans. 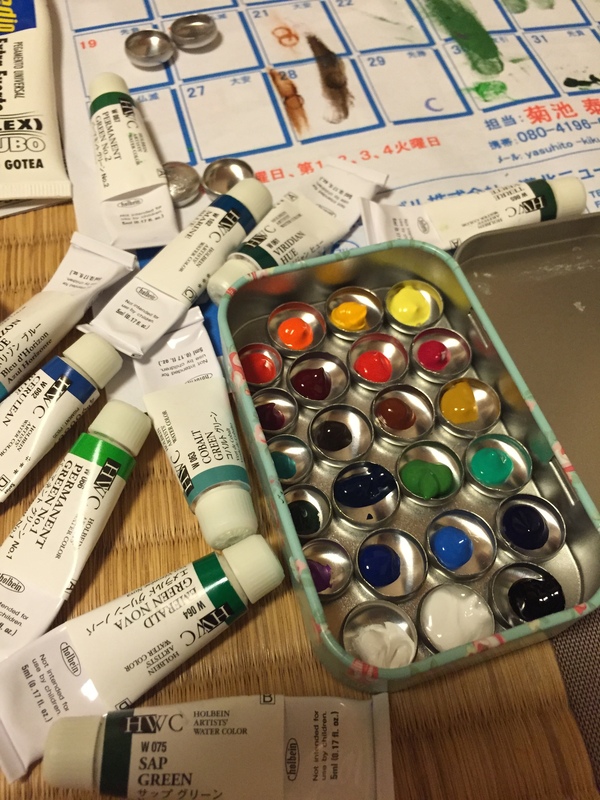 I love using tube water-colour because the pigment is more vibrant and saturated than block watercolors. 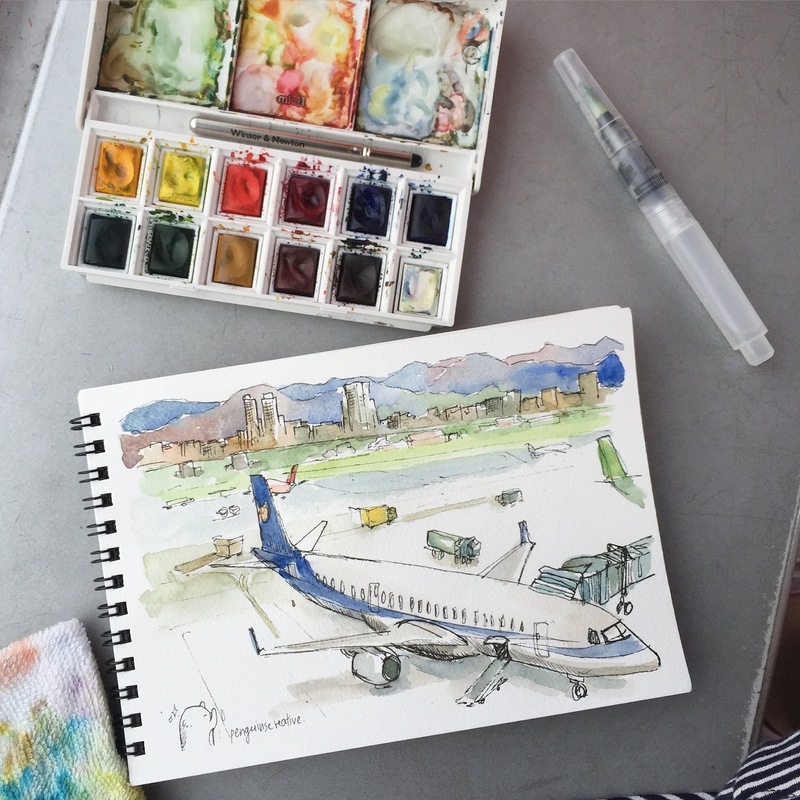 Especially when using a water brush, the flow of the water through the pen is likely to dilute the pigment. 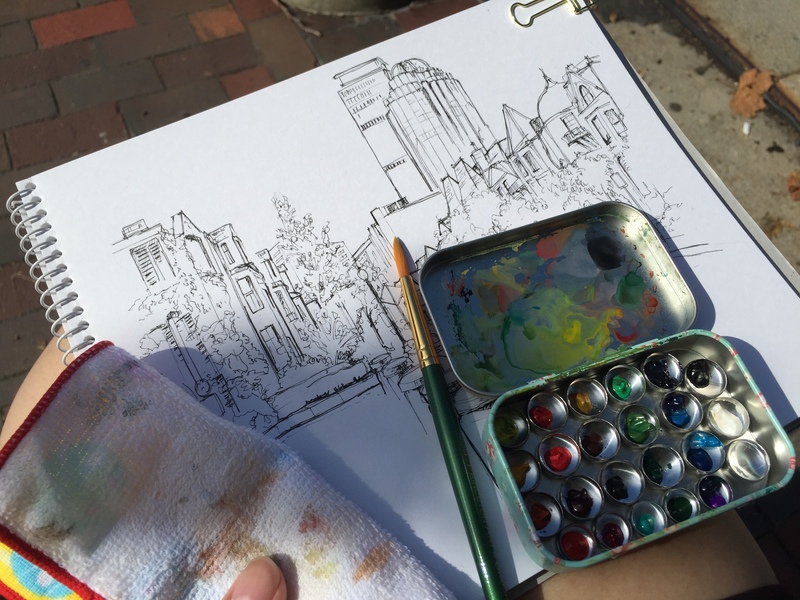 Thus, water-colour out of a tube is more vibrant and flexible than block watercolors. I prefer using them when I paint on larger surfaces. You can make larger pans if you want to have more colours in your palette. 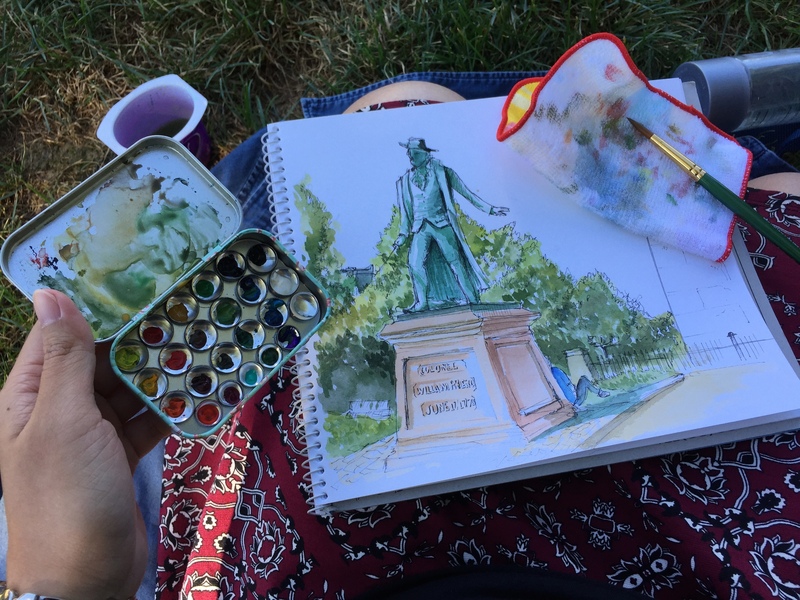 DIY portable watercolor palette is easy to make and use! 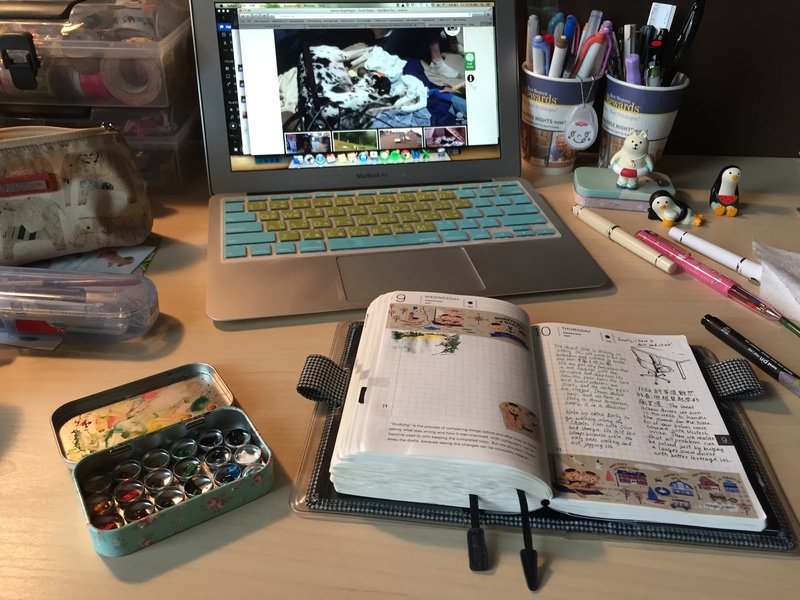 It is even smaller than my Winsor and Newton pocket palette and has become my favourite tool to paint with! I wanted you to know you inspired me. I copied your set up and posted it to my blog. I gave you credit. Thank you so much. Thank you so much for the support! I LOVE your Altoid box, so decadent!